Frequent flyers are a highly sought after target market. Just ask any company that pays top dollar to advertise in in-flight magazines. They’ll admit that a temporarily sequestered audience with nowhere to go (but up?) is a gold mine. But, with security protocols being what they are now, bored and isolated travelers awaiting the next leg of their trip desperately seek to pass the time at engaging airport bars/restaurants with strong food and drink selections, and even stronger wifi. 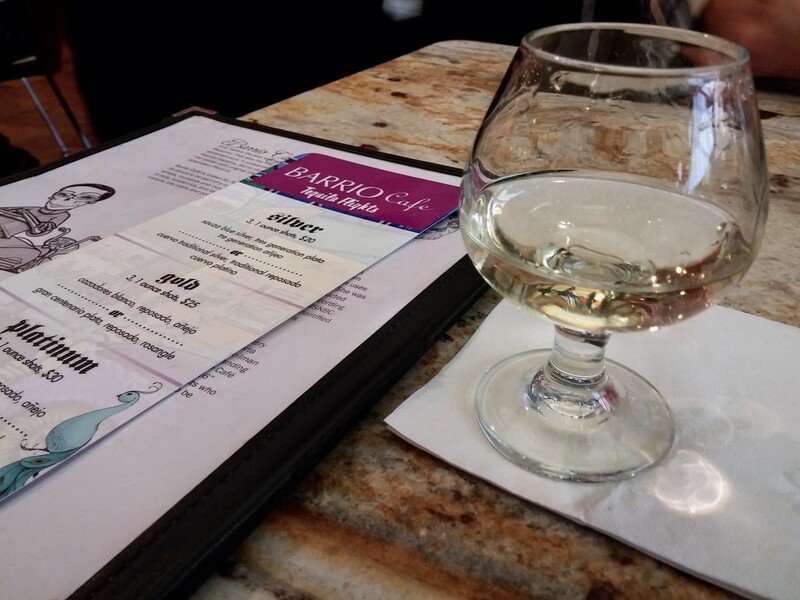 #BarrioCafe is Phoenix’s original comida chingona with a tequila menu to match! @chefSILVANA. 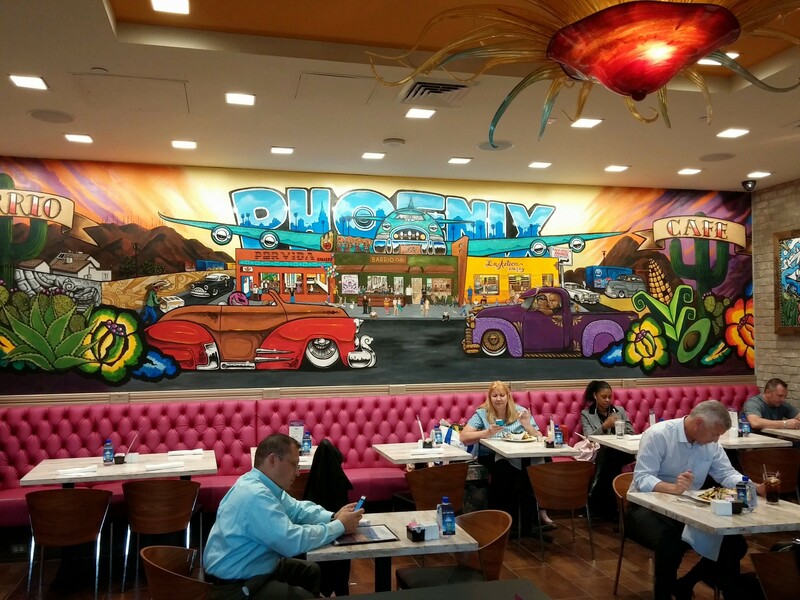 What struck me most about Barrio Café, however, was that it was a tequila oasis in a sea of food court cuisine. Coupled with an informed and educated staff, and my ears perked up. Chef Silvana Salcido Esparza, along with her partner, Wendy Gruber, opened the first Barrio Café in the Calle 16 neighborhood of Central Phoenix in 2002, and it quickly shot to culinary stardom. Chef Silvana’s acknowledgements are as long as your arm, too! Highlighted by an induction into the Arizona Culinary Hall of Fame in 2004, voted as one of the Top 9 Mexican Chefs by MSNBC Latino in 2010, and four James Beard award nominations in 2010, 2011, 2012 and 2014. Employing local graffiti artists and muralists to illustrate and beautify each location, Barrio is notorious for attracting eclectic customers–from low riders to politicians. Beloved and admired by Chef Silvana’s long term café employees, server Brittany Sabo proudly elaborates on this and other locations, its founders, and Barrio’s varied menu. The Barrio Café bar inside Terminal 4. With a tequila selection as assorted as their clientele–from the Usual Suspects to Arizona based smaller brands–their list also includes eye-opening tequila flights. Here, Brittany reveals Chef Silvana’s future plans for a possible private label tequila. Precioso, Hermoso, and Ready for You! #BarrioCafe and @chefSILVANA makes her dishes precioso, hermoso & ready for you! A snifter of 7 Leguas tequila. The idea of catering to short term secluded audiences hasn’t escaped big name tequila companies. But, that warm cozy feeling of being welcomed into a neighborhood bar and restaurant is an unexpected quality not usually found in cookie cutter cantinas. 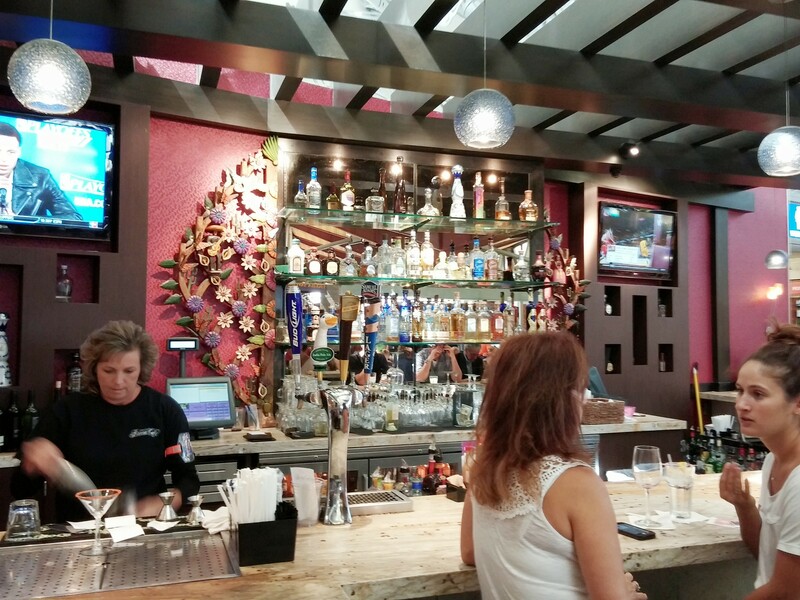 For years, Jose Cuervo has licensed branded Taberna del Tequila bars in airports around the US. The Blue Mesa Taco & Tequila Bar at Dallas/Ft. Worth International, has long been an Herradura (Brown-Forman) stronghold, as well. Airline travelers eventually come and go, but a snifter of good tequila and a house taco of cochinita pibil at the Barrio Café in Terminal 4 could very easily make you miss your connecting flight.